Earlier today we rolled out a new Entanglement build that includes a few new features. We'll announce the bigger additions next week (or just check out the game to see the new content), but I wanted to go ahead and note one simple addition that I think makes the game experience a bit more fluid: we auto-save your game! I know this is not revolutionary, but, in addition to the end result, I think the implementation is cool. To accomplish this, we use the Local Storage capability of modern HTML5 browsers to store a player's moves as they are made. If the browser window is closed and opened at a later time, the same set of tiles is loaded and the game replays the stored moves to return the player's progress to its earlier state. This is especially useful for mobile devices, where interrupting a browser session is a commonplace event. Now players are able to play a few tiles at a time and still finish their game without losing their progress if they're interrupted. The cool part? Replays. By storing a particular game's seed, we are able to re-generate the exact tiles that were used the first time the game was played. Then, the game simply swaps, rotates, and places tiles exactly as they were initially played. Once the list of moves has been replayed, the game is sitting in the exact layout it was when the player left. Using the same logic the game can replay high score games as well... ...but that's not quite ready yet. Essentially, we do not have all the necessary information from earlier games to be able to generate and replay all of them accurately. However, we did run a replay on Fast Shocking Toucan's 5195, and it's... ...beautiful! My name no longer appears in the score lists since this change. I won't play if I can't compete. Hi Joan! Sorry about the issue; I'll see if I can figure out what's going on. Are you able to log in? If so, when you finish a game, does the leaderboard appear? 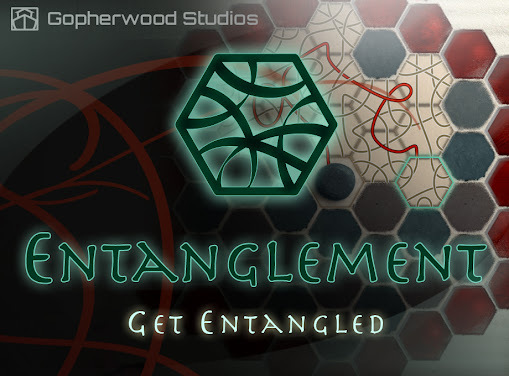 If you send an email to feedback@gopherwoodstudios.com with the Google Account you use to log into Entanglement, I can check the score records on our end. I can log in fine, I thought that might be the issue so I have done the usual.. update browser, log out and in. My computer is Windows 7pro but not the newest one on the block. Everything was fine until this new change. Hi Joan, if you can send us your three-word Entanglement name or the email address you use to log in (either should help us identify your account on our end) we can check into it. We have not been able to reproduce this issue on our end. 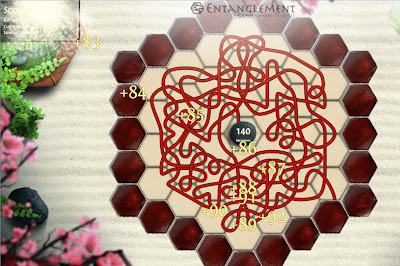 New Entanglement Maps and Free Trial!